Life is fragile, short, terrifying, somehow seemingly eternal and the list goes on and on until the human race and all other organisms become extinct and there is nothing but darkness (too much?). A picture posted to Reddit by user Fishtails acts as a better summation of the grand scheme of life than any string of contradictory adjectives ever could. 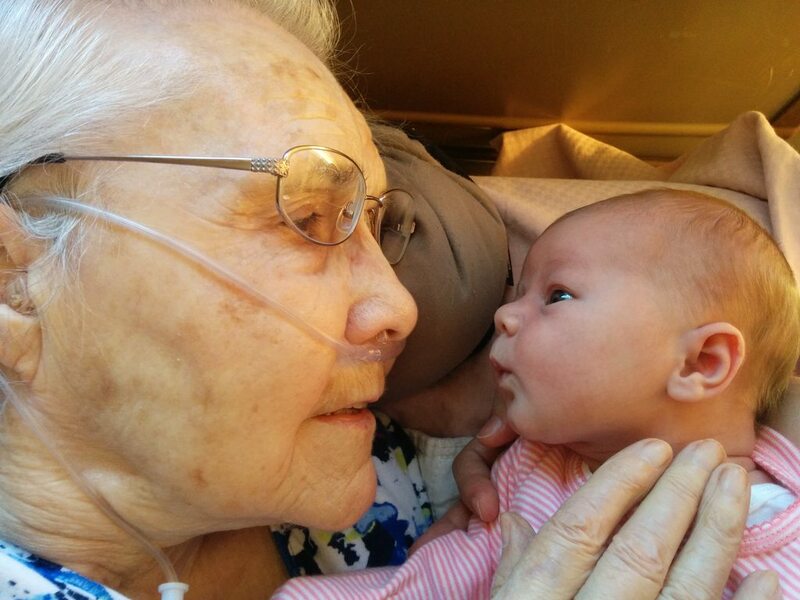 The photo features a 2-day-old baby meeting her 92-year-old great grandmother face to face. People were touched by the photo and, in a reply, Fishtails told a bit about the woman pictured. Her husband, my grandfather served in WWII. They got married right before he went to Okinawa. He passed away last month and sadly missed this opportunity. I think my grandmother here has been holding on for this moment. This was one of the best days of my life, I think it was up there for her, too. Other users shared their own circle-of-life stories on the thread, making sure to mention they were unabashedly sobbing. This totally made me bawl. I don't mean a little sniffle and one teardrop, I mean full-fledged flood ugly-cry… My mom has Parkinson's Disease and is going downhill swiftly… But your post gave me hope that even if she is quite far along in her loss of cognition by the time I have a baby, she and her grandchild may still be able to enjoy bonding with each other, in whatever way. This was such a huge relief! Thank you for that, and for sharing these sweet memories. Babies have long been Internet favorites, brightening pages otherwise full of gloomy updates and political rants. In this case, however, baby shares the spotlight with her future.